Like it or not, Valentine's Day is upon us. Personally, I love it but me being obsessed with holidays is nothing new. Temperatures being what they are, there's really nothing to do but sit inside and bake or do something useful like taxes. As you can see, I choose to bake away my cares. If you're as over-the-top as I am when it comes to telling someone you love them, bake them something fancy too! As the old saying goes, the way to a man's heart is through his pie-hole unless he doesn't have a pie-hole, in which case, break up immediately. I've been told my life seems romantic, and while that is true, most people don't see me eating entire confections by myself while the cat tries to look away. Last Valentine's Day I embraced being single and ate an entire heart-shaped cake by myself. This year, I've got someone special to share my pie with, but I still plan on eating the entire thing myself. I don't know about you, but I love combining booze and baking, in fact, I won't do one without the other. 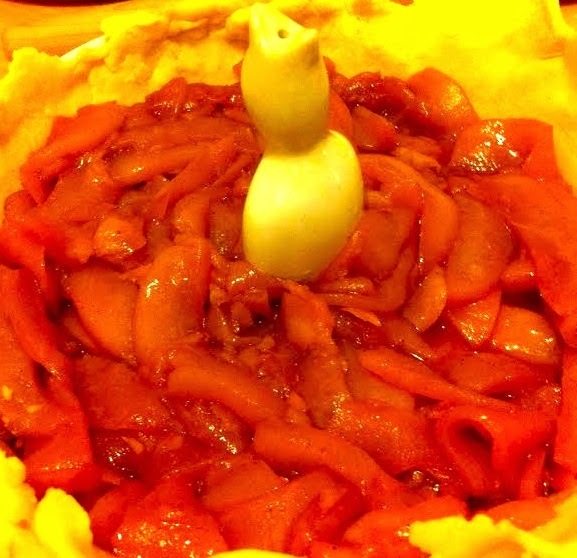 I'd never had pear pie, until I made one for a family function during the darkest Christmas of my life. When none of it got eaten I didn't handle it well, so I hope nobody remembers me psychotically waving a pie server at them. The problem was that the pears didn't cook all the way through and were kinda chewy. That, and I used way too much anise extract and nobody likes black licorice except me. This time around I did some research and decided to poach them in red wine first. Turns out poaching just means boiling, or killing safari animals for their tusks and hides. 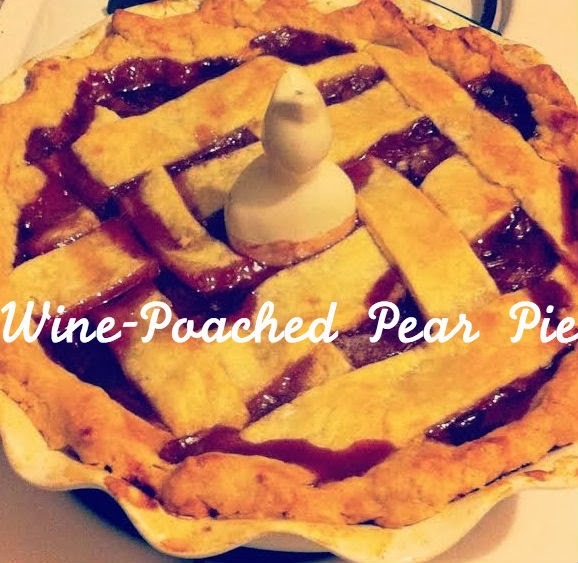 Boiling the pears in wine with spices broke them down to a soft state before you bake them, so that the only thing you really need to concern yourself with is whether your crust gets golden and whether mixing wine and sedatives is bad in a lethal way. Step 1: Line a pie plate with one crust. Preheat oven to 350. Step 2: Bring pears, water, wine, sugar, extracts and spices to boil. 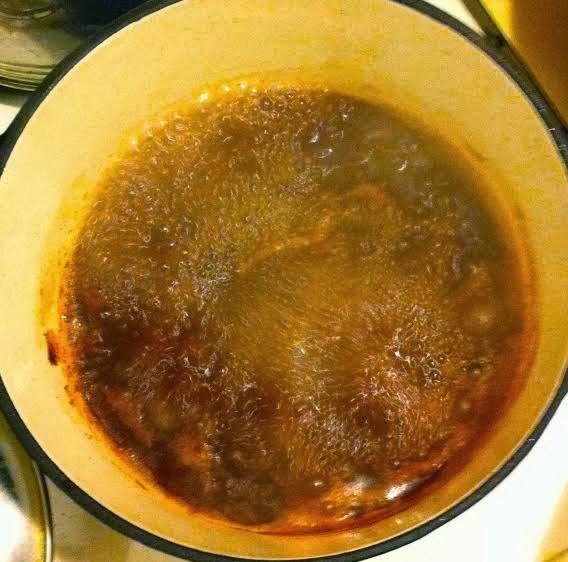 Allow to slow-simmer until soft. Step 3: Remove pears from mulled wine and set aside. Simmer wine until reduced to 3/4 cup. Step 4: Arrange pears in bottom crust. 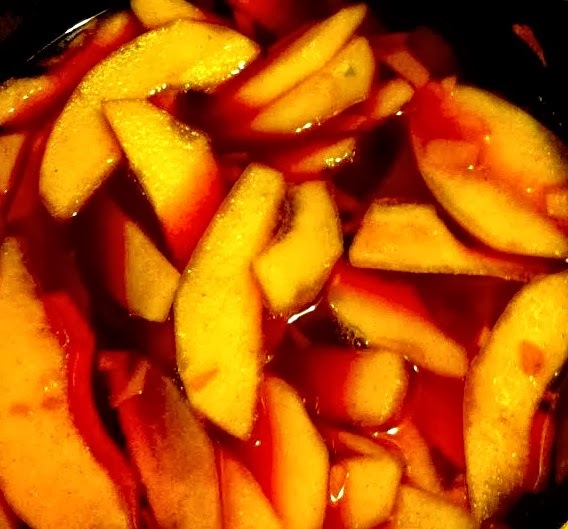 Pour wine syrup over pears. Adhere top crust and brush with milk. Bake pie about an hour. Allow to set-up overnight before serving.